The evidence shows that the more disorganized an emergency evacuation is the more likely it is to cause unnecessary confusion, property damage, injury, even fatality. Developing a robust emergency evacuation plan is the only way to keep customers and staff safe. Not sure how to get started? Or looking to take your current planning efforts to the next level? We’re here to help. 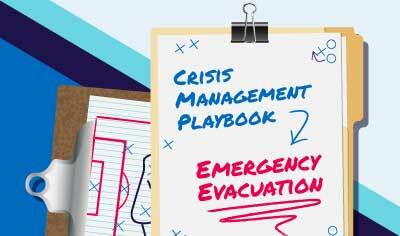 Based on best practices in the field, our step-by-step, how-to guide gives you a detailed template to develop your emergency evacuation plan.